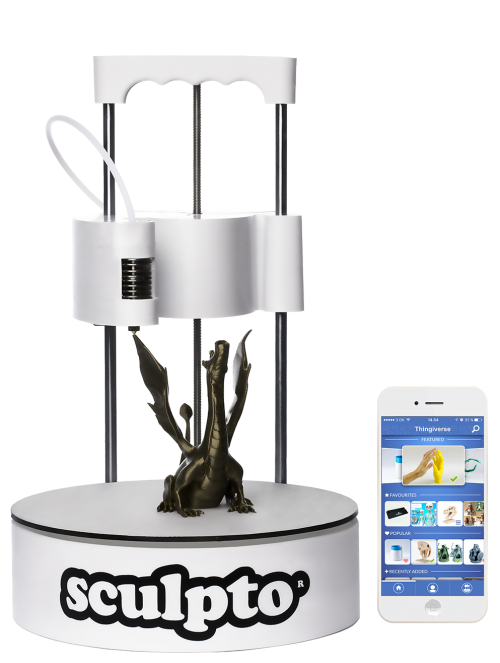 Sculpto 3D printer - Sculpto - Let's make 3D printing for everyone! We have redesigned the traditional 3D printer with the purpose of making 3D printing much more accessible and user-friendly. The Sculpto 3D printer prints on a rotating buildplate, unlike traditional 3D printers, that oftentimes print in right angles on a non-moving buildplate. This makes Sculpto a very efficient 3D printer. It also helps to make the Sculpto 3D printer more compact than other 3D printers. With a Sculpto 3D printer, you are able to print objects with the size of a football in diameter and an iPhone 6 Plus in height, despite of the fact that the printer is only 23% bigger than its print area. Last but not least, the printer is very mobile and can easily be moved from one room to another. Furthermore, you don’t need to worry about the calibration – our design secures very little calibration. 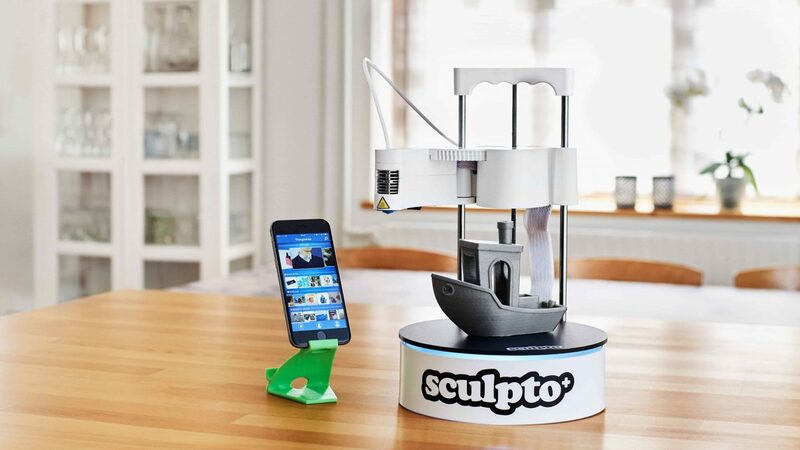 You simply log into the Sculpto app from your smartphone, tablet or computer. In the app you can browse between a large selection of 3D models or you can design your own models in the 3D modelling program of your choice and print these models on your Sculpto 3D printer.